Do You Like Your Friend Online And Offline? Being a lukewarm, passive-aggressive friend used to be so simple. All you needed were a few strategically placed backhanded compliments (“Girl, he’s so cute! How’d you get him to ask you out?”) and a conveniently selective memory (“I’m so sorry I forgot to invite you to dinner!”). But the infusion of social media into our lives has dramatically, irreversibly changed the dynamics of modern friendships—especially the ones that we’re only staying in out of obligation, or history, or both. 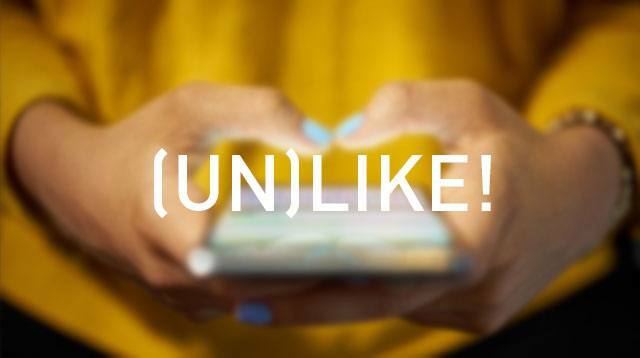 The first time I caught a friend (let’s call her M) scrolling through her feed, bestowing everyone’s posts with her double-tap approval while blatantly ignoring mine, my first instinct was to brush it off. It’s just likes, I thought. Why should it matter? Then I started noticing it in real life. During get-togethers with our other friends, she’d tune me out completely, fiddling with her phone while I talked, or else she’d jump in and negate whatever I’d just said. I’d lean in for a hug hello or goodbye and her smile would be strained, her tone icy. I couldn’t figure out what was wrong, exactly, only that something was. I repeated incredulously. “My selfies? !” I went to my feed and counted how many photos of myself I’d posted in the last month. I reached a whopping total of three, sandwiched between shoreline photos and sunset shots. I checked hers: She had six, double the amount. I felt vindicated. Then I felt absolutely stupid that I felt vindicated. Because why did I need to defend my travel OOTDs and my love for makeup? Why did I need to defend whatever I did within the four corners of my social media feed? That friendship, needless to say, was a ticking time bomb that ended with us blocking one another online and off. But fast forward several months later and I’d find myself doing the same thing to another friend—let’s call her P. I’d hide her posts on Facebook, mute her stories on Instagram, gloss over her Tweets. I’d roll my eyes furtively at her flatlays and the song lyrics she used as captions. My thumb would hover over the unfollow button so many times, until I chickened out and closed the tab. P and I had been friends for as long as I could remember, but suddenly, it felt like we had nothing in common. The last time we saw each other at a party, she barely spoke to me. On the dance floor, she took selfies with everyone but me, confirming that the feeling was mutual. We haven’t talked since. While this was happening, I was gaining new friends whose feeds I made a point to visit, whose posts I liked and commented on religiously. We built our friendships on links and tags and heart-eyed emojis, along with beach trips and honest conversations and secrets shared—and the fact that maybe we just really, really enjoyed each other’s company. When I got engaged earlier this year, they were the first people I wanted to tell, and we celebrated in our chat group with one GIF after another. Their social media presence has never made me feel annoyed, insecure, or insignificant. I no longer have to look over my shoulder, constantly tallying likes. And IRL? It’s even better. In the end, here’s what I’ve realized: I don’t think it’s possible to be nettled by someone’s social media presence if the relationship isn’t problematic to begin with. Listen to your gut, trust your intuition, and don’t disregard how affected you are when faced with the thumbnail-sized, two-dimensional version of your friends. We are more than the sum of our selfies, but every time I found myself intentionally withholding likes or secretly judging a friend's post, it only pointed back to real-life cracks neither of us had fully acknowledged yet, to tension brewing just beneath the surface. And if it takes Instagram or Facebook to make us sit down and sort through the witty hashtags and succinctly written captions to get to the core of our emotions, then that’s the first step to ensuring our digital interactions don’t slowly chip away at our living, breathing connections. The people we truly, genuinely love should have our hearts online and off, whether they're posting a goofy Insta-story or breaking the internet with a selfie. Check yourself if you feel otherwise, and check the relationship itself if you think the other half does. Maybe it’s too late to save; maybe it isn’t—either way, at least you’ll know. We’ve been trained to see life in squares, but the best of friendships—the ones worth keeping long after social media becomes nothing but a distant, obsolete memory, the ones that manage to permeate all the layers of junk technology gives us every day—need no filter. No algorithm can ever screw that up.